MOST OF THE WORLD’S GREAT SOULS have been lonely. Loneliness seems to be one price the saint must pay for his saintliness. In the morning of the world (or should we say, in that strange darkness that came soon after the dawn of man’s creation) that pious soul, Enoch, walked with God and was not, for God took him; and while it is not stated in so many words, a fair inference is that Enoch walked a path quite apart from his contemporaries. Another lonely man was Noah who, of all the antediluvians, found grace in the sight of God; and every shred of evidence points to the aloneness of his life even while surrounded by his people. Again, Abraham had Sarah and Lot, as well as many servants and herdmen, but who can read his story and the apostolic comment upon it without sensing instantly that he was a man “whose soul was alike a star and dwelt apart”? As far as we know not one word did God ever speak to him in the company of men. Face down he communed with his God, and the innate dignity of the man forbade that he assume this posture in the presence of others. How sweet and solemn was the scene that night of the sacrifice when he saw the lamps of fire moving between the pieces of offering. There alone with a horror of great darkness upon him he heard the voice of God and knew that he was a man marked for divine favor. Moses also was a man apart. 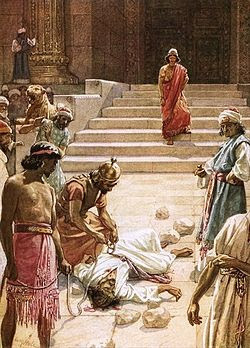 While yet attached to the court of Pharaoh he took long walks alone, and during one of these walks while far removed from the crowds he saw an Egyptian and a Hebrew fighting and came to the rescue of his countryman. After the resultant break with Egypt he dwelt in almost complete seclusion in the desert. There while he watched his sheep alone the wonder of the burning bush appeared to him, and later on the peak of Sinai he crouched alone to gaze in fascinated awe at the Presence, partly hidden, partly disclosed, within the cloud and fire. The prophets of pre-Christian times differed widely from each other, but one mark they bore in common was their enforced loneliness. 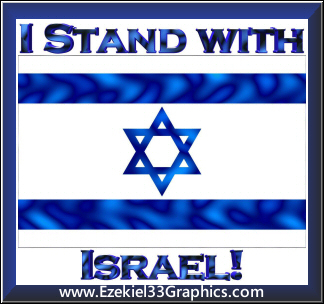 They loved their people and gloried in the religion of the fathers, but their loyalty to the God of Abraham, Isaac and Jacob, and their zeal for the welfare of the nation of Israel drove them away from the crowd and into long periods of heaviness. “I am become a stranger unto my brethren, and an alien unto my mother’s children,” cried one and unwittingly spoke for all the rest. Most revealing of all is the sight of that One of whom Moses and all the prophets did write treading His lonely way to the cross, His deep loneliness unrelieved by the presence of the multitudes. The suffering Saviour prays alone. Heeds not his Master’s grief and tears. He died alone in the darkness hidden from the sight of mortal man and no one saw Him when He arose triumphant and walked out of the tomb, though many saw Him afterward and bore witness to what they saw. There are some things too sacred for any eye but God’s to look upon. The curiosity, the clamor, the well-meant but blundering effort to help can only hinder the waiting soul and make unlikely if not impossible the communication of the secret message of God to the worshiping heart. The pain of loneliness arises from the constitution of our nature. God made us for each other. The desire for human companionship is completely natural and right. 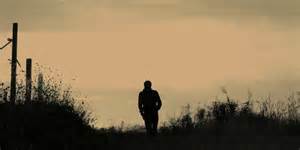 The loneliness of the Christian results from his walk with God in an ungodly world, a walk that must often take him away from the fellowship of good Christians as well as from that of the unregenerate world. His Godgiven instincts cry out for companionship with others of his kind, others who can understand his longings, his aspirations, his absorption in the love of Christ; and because within his circle of friends there are so few who share his inner experiences he is forced to walk alone. The unsatisfied longings of the prophets for human understanding caused them to cry out in their complaint, and even our Lord Himself suffered in the same way. The truly spiritual man is indeed something of an oddity. He lives not for himself but to promote the interests of Another. He seeks to persuade people to give all to his Lord and asks no portion or share for himself. He delights not to be honored but to see his Saviour glorified in the eyes of men. His joy is to see his Lord promoted and himself neglected. He finds few who care to talk about that which is the supreme object of his interest, so he is often silent and preoccupied in the midst of noisy religious shoptalk. For this he earns the reputation of being dull and overserious, so he is avoided and the gulf between him and society widens. He searches for friends upon whose garments he can detect the smell of myrrh and aloes and cassia out of the ivory palaces, and finding few or none he, like Mary of old, keeps these things in his heart. It is this very loneliness that throws him back upon God. “When my father and my mother forsake me, then the Lord will take me up.” His inability to find human companionship drives him to seek in God what he can find nowhere else. He learns in inner solitude what he could not have learned in the crowd that Christ is All in All, that He is made unto us wisdom, righteousness, sanctification and redemption, that in Him we have and possess life’s summum bonum. Two things remain to be said. One, that the lonely man of whom we speak is not a haughty man, nor is he the holier-than-thou, austere saint so bitterly satirized in popular literature. He is likely to feel that he is the least of all men and is sure to blame himself for his very loneliness. He wants to share his feelings with others and to open his heart to some like-minded soul who will understand him, but the spiritual climate around him does not encourage it, so he remains silent and tells his griefs to God alone. The second thing is that the lonely saint is not the withdrawn man who hardens himself against human suffering and spends his days contemplating the heavens. Just the opposite is true. His loneliness makes him sympathetic to the approach of the broken-hearted and the fallen and the sin-bruised. Because he is detached from the world he is all the more able to help it. Meister Eckhart taught his followers that if they should find themselves in prayer as it were caught up to the third heavens and happen to remember that a poor widow needed food, they should break off the prayer instantly and go care for the widow. “God will not suffer you to lose anything by it,” he told them. “You can take up again in prayer where you left off and the Lord will make it up to you.” This is typical of the great mystics and masters of the interior life from Paul to the present day. The weakness of so many modern Christians is that they feel too much at home in the world. In their effort to achieve restful “adjustment” to unregenerate society they have lost their pilgrim character and become an essential part of the very moral order against which they are sent to protest. The world recognizes them and accepts them for what they are. And this is the saddest thing that can be said about them. They are not lonely, but neither are they saints. That was really wonderful, thanks for posting it. I came across this post earlier today. It really blessed me and I hope it blesses others. sometimes sacrifice and obedience are the same road! I cannot describe the precious impact of these words on my soul. Mr. Tozer was so right. His life was marked by isolation, even though he pastored a church. We the Lord’s true saints bear this suffering, along with our Forerunner, who was despised and rejected of men. I was blessed by this, Tim! I’ve shared on my blog, on Facebook, and on G+. Brenda: I was hitchhiking in central Idaho a year or so ago and this Christian picked me up. We were talking about A.W. Tozer. He said that this seminary once asked Tozer to speak either at a church service or a graduation ceremony. When Tozer spoke to the professors and students of the seminary, he told them that half of the students at that seminary weren’t even saved. Wow! What courage! Praise the Lord! I am sure that Tozer was not popular with many church people when he was alive. When you obey the Lord, you will be despised and rejected by most people. Hi brother 🙂 I don’t dream… of course I do, but, they are not remembered very often. Last night, there were ‘monsters’ attacking mankind… kind of like a “WWZ” (the movie) type of scenario, but they were not zombies. There was earthquakes globally and the ground would open up, and out came demons. Kind of childish as I write the words, but in the dream it was very real and the danger and evil could be ‘felt’. Anyway, hope you don’t mind me jumping onto your latest post to relay this info… I wanted you to know for some reason. May God’s Will be done in earth as it is in heaven, in Christ Jesus our Lord, AMEN. TeachX3: Thank you for telling me your dream. I am guessing that the releasing of the demons on the earth is to help separate the wheat from the chaff. True Christians need to read and meditate on Psalm 91: our protection is from God alone. Thank you for sharing this. It is an encouragement to all who love the Lord Jesus in spirit and in truth.